A common objection to belief in the God of the Bible is that a good, kind, and loving deity would never command the wholesale slaughter of nations. Even Christians have a hard time stomaching such a thought, and many avoid reading those difficult Old Testament passages that make us squeamish. Instead, we quickly jump to the enemy-loving, forgiving Jesus of the New Testament. And yet, the question doesn't go away. 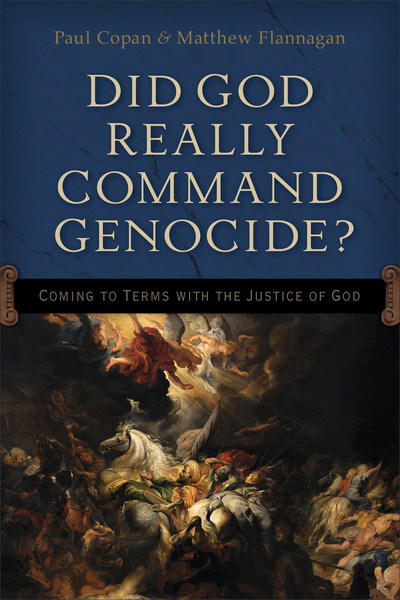 Did God really command genocide? Is the command to "utterly destroy" morally unjustifiable? Is it literal? Are the issues more complex and nuanced than we realize? In the tradition of his popular Is God a Moral Monster?, Paul Copan teams up with Matthew Flannagan to tackle some of the most confusing and uncomfortable passages of Scripture. Together they help the Christian and nonbeliever alike understand the biblical, theological, philosophical, and ethical implications of Old Testament warfare passages. Pastors, youth pastors, campus ministers, apologetics readers, and laypeople will find that this book both enlightens and equips them for serious discussion of troubling spiritual questions.